I am always on the lookout for fun, educational books to teach children about life and the world around them. With Valentine's Day fast approaching, love will be a subject of interest to little ones--and today, we have a children's book in our review spotlight to help parents, teachers and caregivers answer a big question: What is love? Check out Pika Bunny Has a Big Question and read our thoughts on this adorable children's book! The most important task we learn in life is how to love well. Pika Bunny has a Big Question teaches us, children and adults alike, that love is an action that can change anyone's life. This tender and entertaining book reinforces how we all can daily make this world a kinder place. This book debuted at BEA with a signing at Table 9 and BookCon in 2018. Pika Bunny Has a Big Question opens up a fantastic learning opportunity for families and educators. Love is a difficult concept to grasp. We use the word as a noun--but, little hands are not able to physically hold it and see it in the traditional sense. This children's book presents the concept of love as an action word--and illustrates it perfectly in words and illustrations that children will readily understand. Readers will love Pika Bunny. By the end of the book, readers will just want to give Pika Bunny a big hug! Pika is an adorable character with a big heart and a childlike sense of wonder that children and parents/teachers/caregivers will find very genuine--and very relatable. Pika's questions are those straight from the mouths of our children, and Pika's responses to those questions are true to life as well. 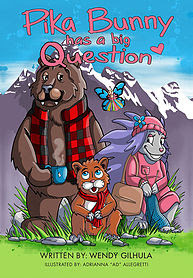 Would I recommend Pika Bunny Has a Big Question by Wendy Gilhula? I loved this children's story! It is the perfect book to read to younger toddler/preschool aged children and the ideal book to read together as a family with older children. If you are looking for a fun story about love for Valentine's Day or Sweetest Day--or want a lovely way to help a child begin to understand the deeper meaning of the phrase, "I love you,"--this book is perfect. It is short, easy to read and opens the door for a nice discussion about giving and showing acts of love. Pika Bunny Has a Big Question is perfect to read to preschool aged children or for older children to read on their own--but, I do think it serves its best purpose when read and discussed as a larger lesson about love and the way love is expressed. Wendy Gilhula has spent over two decades teaching children’s dance and tutoring math, experiences that have taught her the importance of hearing a child’s point of view. She has translated that skill into a successful outing with her first two children’s books, published by Apollo Communications. Pika Bunny and the Thunderstorm (2017) and Pika Bunny Has a Big Question (2018) were highlighted in June at New York City’s Book Expo America and Book Con. Wendy’s Pika books are the first in a learning series promoting understanding and kindness, and both books have been recommended by therapists, counselors, and teachers. 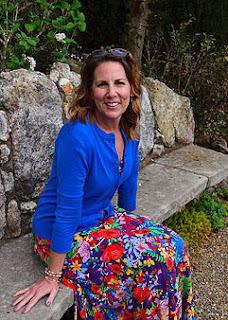 Wendy holds a Bachelor’s Degree in Education from the University of Tennessee and lives in Knoxville with her husband, two children, two dogs, and lots of neighborhood kitties.